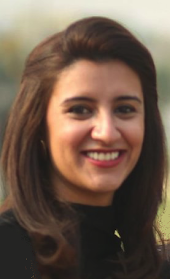 Farah is an Assistant Professor and Research Fellow based at the Centre for Research in Economics and Business at the Lahore School of Economics. She is currently enrolled in the PhD Economics program at the Lahore School of Economics. Her dissertation looks at the constraints to female enterprise amongst the uneducated, rural areas of Punjab, Pakistan. business at home. She has also worked with researchers at Oxford and Stanford to evaluate an innovative microsavings product for female borrowers in Pakistan. Farah has worked on studies funded by ESRC, DFID, British Academy and International Growth Centre. She is currently working with researchers at Oxford and Bocconi to investigate and address the constraints female micro-entrepreneurs feel they face when expanding their enterprise. They are currently piloting an intervention that aims to improve motivation and planning for expansion.